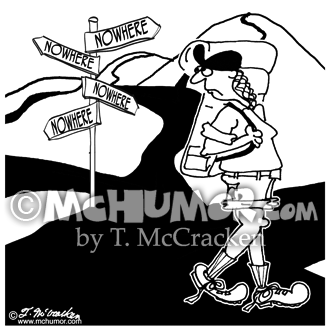 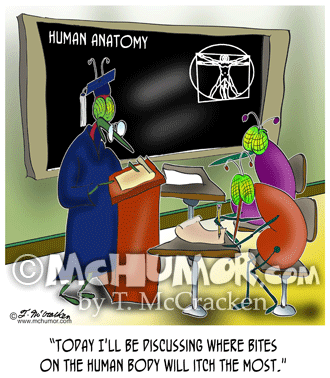 Backpacking Cartoon 8923: A hiker at a crossroads where road sign arrows point in all directions and say, "Nowhere." 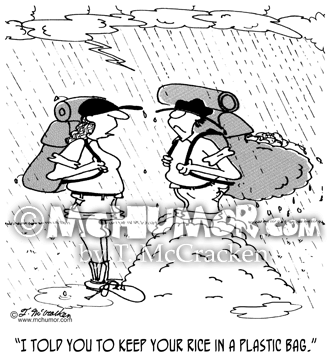 Hiking Cartoon 4748: Hiker in a rainstorm with puffed rice all around saying to another, "I told you to keep your rice in a plastic bag." 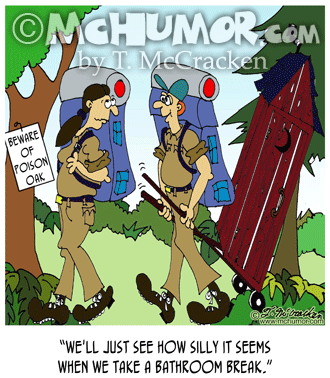 Hiking Cartoon 4746: A hiker with a huge backpack with a side view mirror. 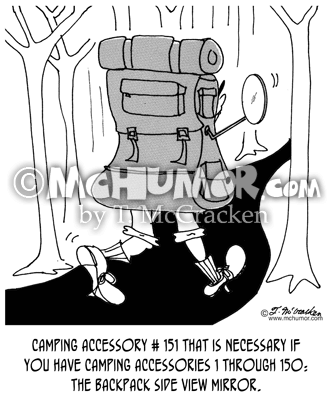 "Camping accessory # 151 that is necessary if you have camping accessories 1 through 150: The backpack side view mirror." 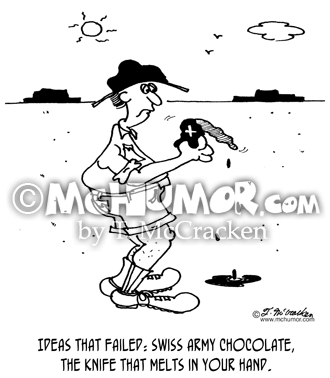 Candy Cartoon 4747: "Ideas that failed: Swiss Army Chocolate, the knife that melts in your hand." 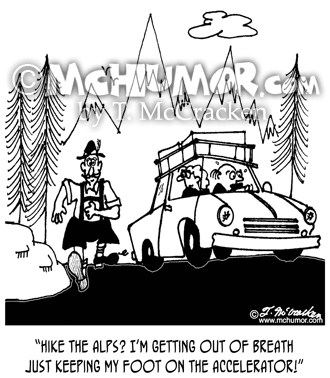 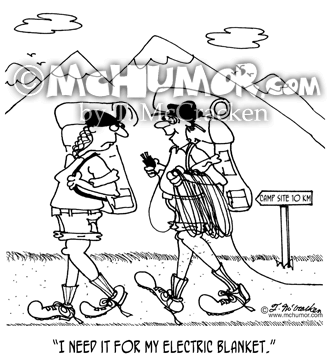 Hiking cartoon 4750: A hiker with a huge extension cord saying, "I need it for my electric blanket." 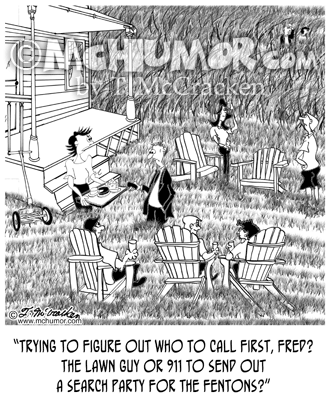 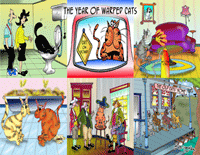 Lawn Cartoon 8742: A hostess of an outdoor party in a yard with high grass where a couple is lost says to her husband who's nervously looking at his phone, "Trying to figure out who to call first, Fred? 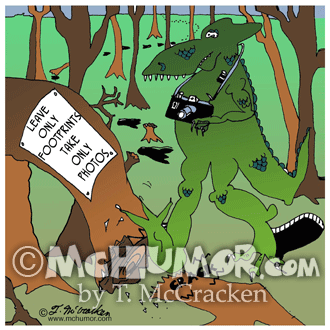 The lawn guy or 911 to send out a search party for the Fentons?"